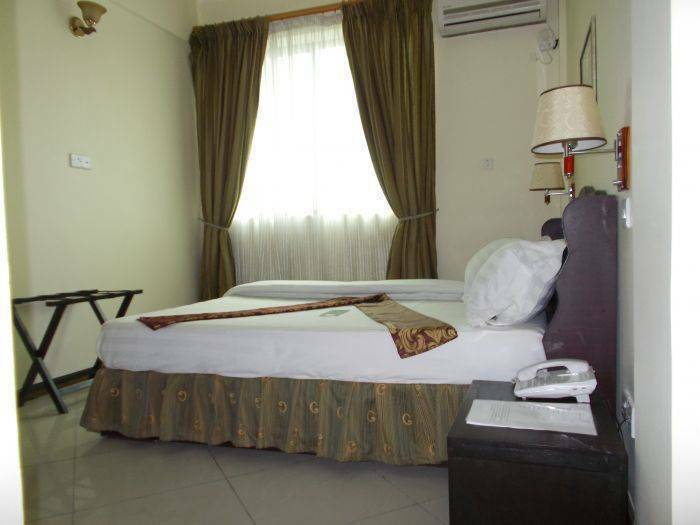 Hotel Continental is located at the entrance of the city; having been established in 2000 the hotel has been running successfully for over 10 years. The proximity has paid parking available opposite the hotel allowing easy mobility and access to our customers. We aims to provide the best level of service to all its customers whether local or from abroad. Our hotel has a welcoming atmosphere and customers are provided with all information they might require 24 hours a day to make their travel as comfortable and convenient as possible. We have paid Wifi Facility in the rooms you can request at the receiption for the paid code. We also provide a taxi service 24 hours a day whether its for airport, ferry, bus station, City tours or long distance travel at economical prices. We look forward in welcoming you and hope you have a pleasant stay and experience at Jambo Inn Hotel. 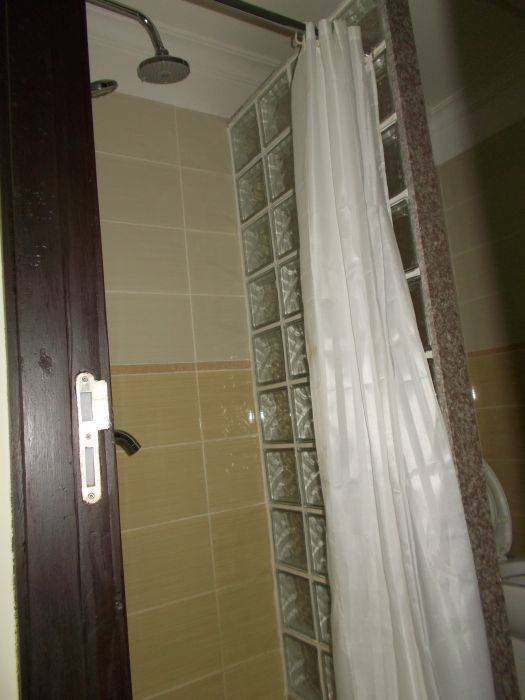 Double room with aircon : Normal room with air con on bed and breakfast basis, private shower & air-con. 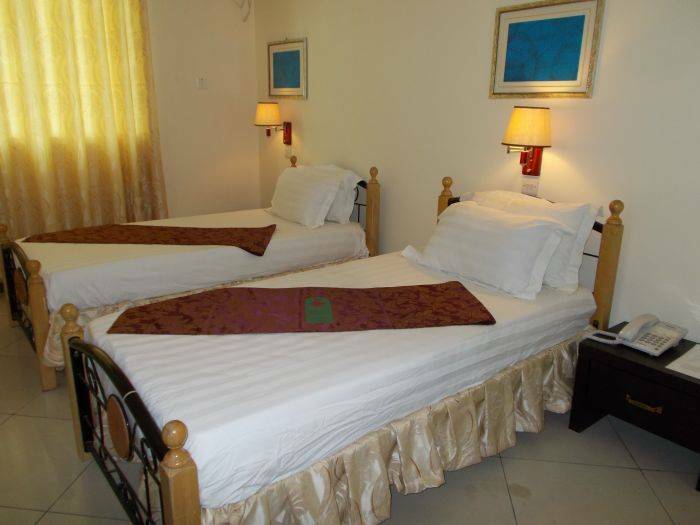 Twin Room With aircon : Normal room with aircon on bed and breakfast basis, private shower, & aircon. 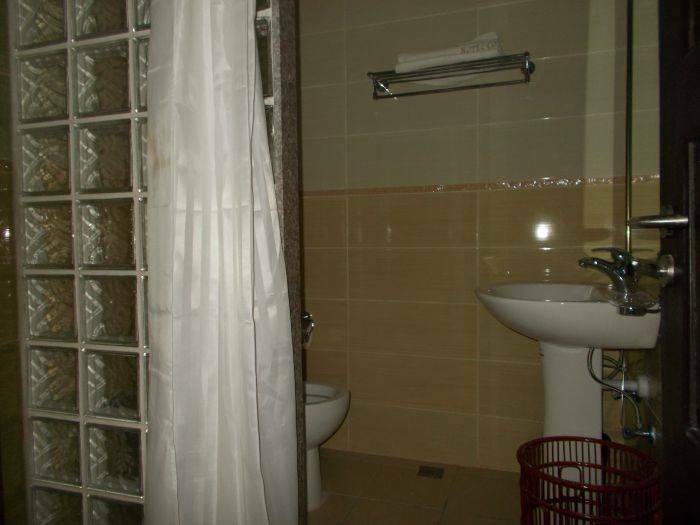 Tripple Room with Aircon :Normal room with 3 beds, aircon on bed and breakfast basis, private shower. 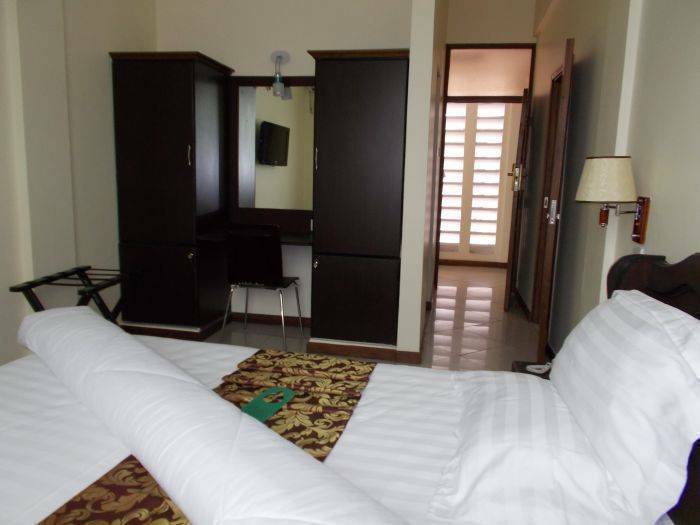 Delux Double room with aircon : Normal room with aircon on bed and breakfast basis, private shower, Tv & aircon. Hotel Continental is located just next to the city center, few meters away from clock tower which is said to be the start of the city. 5 minutes walk to J. M Shopping Mall, Grange casino, A lot of banks with 24 hours A. T. M , 7 minutes walk to Ferry terminal to Zanzibar, 8 minutes walk to tourist information center. 10% for longer stay more then 2 weaks. 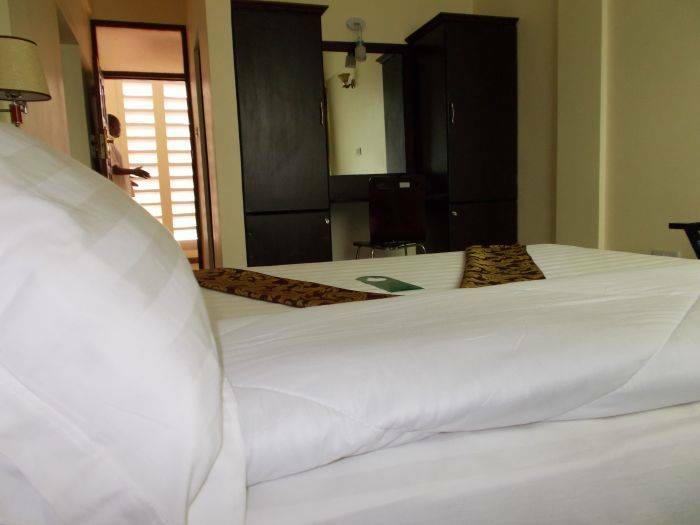 We are approximately 10km (15 minutes) away from the Dar-Es-Salaam International Airport, 2km (5 minutes) from the ferry terminal, 3km (10minutes) away from Scandanavian bus station or other bus stations in town and 10km from the main Ubungo bus station. Near Ferry Terminal, Scanadivian bus Terminal and many more buses start point near by as located in city center easily accessable to all the major the places of interest and offices in dar es salaam and the main Kariakoo market and near bus terminal for local transport. Nærmeste lufthavn: Julius Nyerere International Airport.